This is a fabulous workshop for any dancer. Olivia Shaffer and Mark Young have taught together several times. Their works compliment each others. Olivia’s approach to CI is rooted in embodied presence. She believes that cultivating awareness of our sensations and proprioception creates an agile body and quiet mind. As a result, we open up the possibility for more improvisational freedom by following impulse and intuition. Classes begin with a guided warm-up to attune with gravity by sensing the subtle modulations of tone in our body. Developmental movement principles such as yielding, head-tail connection, and push patterns will facilitate pathways that move us in and out of the floor with ease and efficiency. We will travel through space using “scores of limitation” to create opportunities that challenge habitual patterning and enrich the possibilities of our dancing. 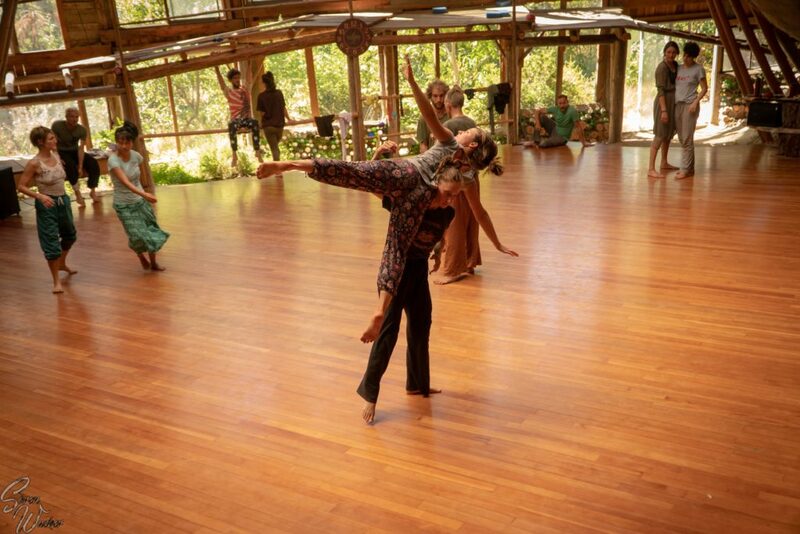 Olivia’s classes offer an opportunity to develop CI techniques that will both foster the dancing of beginners and satisfy the hunger of more experienced practitioners. Olivia Shaffer is an independent performer, improviser, choreographer and teacher from Vancouver, BC. She holds a BFA and a Liberal Arts Certificate from the School for Contemporary Arts at Simon Fraser University. She has worked as a dance artist for over a decade, creating dance independently and performing with companies such as EDAM Dance, Co.ERASGA and MACHiNENOiSY, among others. Olivia’s movement philosophy and teaching is shaped by her extensive background in contact improvisation (CI), contemporary dance, improvisation, somatic practices (including Laban Movement Analysis & Bartenieff Fundamentals), and Pilates. Olivia has had a daily practice in CI under master teacher Peter Bingham since 2011, and has been performing CI with his company, EDAM Dance, since 2014. Olivia has also studied with international CI teachers Alicia Grayson, Karen Nelson, Sarah Shelton Mann, Andrew Harwood, Ray Chung, Chris Aiken, Frey Faust, Leilani Weis, John Faichney, Martin Keogh and Angelika Doniy. In Mark’s words: I just keep teaching this same material because it works. Many participants have repeated this workshop 5 times. The material is profound in its efficacy, yet accessible to all. We use exercises that emphasize spiral movement. From Tai Chi to floor work to partnering, we entrain movement patterns that lead to smooth flow in the partnering duet. The first video is the material that we will mostly be working with along with Simone Forti’s ‘Crescent Rolls’ and Steve Paxton’s ‘Spiral Rolls’ and Master Moy Lin-Shin’s Taoist Tai Chi. The third video is not a practice for everyone, but it should be noted, we got this far in a weekend workshop. We can definitely get there in a 12day workshop. Mark Young has been studying Tai Chi and Contact Improvisation and the interface of those two disciplines for over 20yrs. 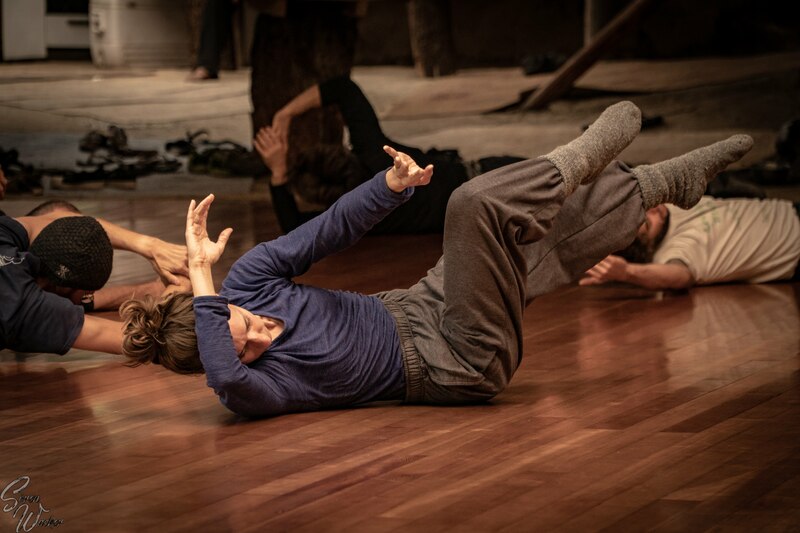 He has recently been teaching at Conservatories of Dance and university dance departments in Spain where he will return in February, 2020 to lead the 4week master class in Contact Improvisation at the University Catholica de Murcia(UCAM). Mark built Leviathan Studio in 2010. 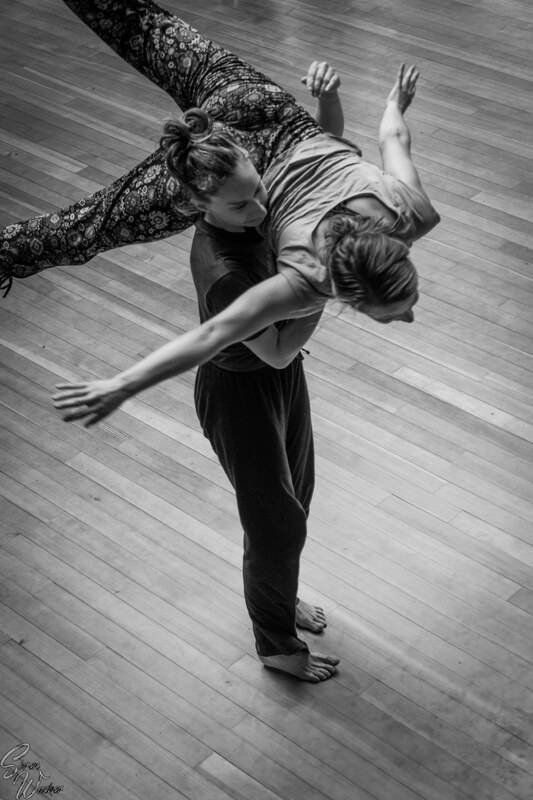 It is committed to the ongoing, in depth study of Contact Improvisation. Arrive on Sunday, May19 in the afternoon. You will be met at the ferry by a limousine that will bring you to the studio for dinner and the first jam. Depart after breakfast on Saturday, June1st. $1200 includes all meals, camping or dormitory, tuition, limo to and from the ferry, taxes. To register: Go to ‘Contact Us’ on the right side of the screen and send a message. You will be responded to within 24hrs.